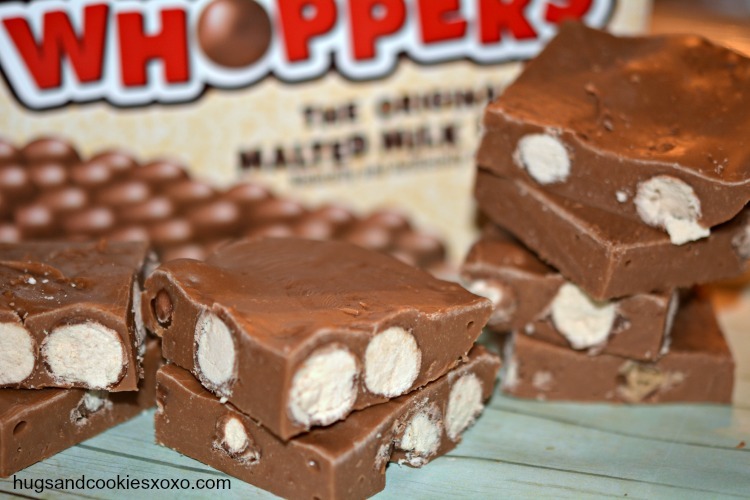 Fudge plus whoppers is like the cherry on the ice cream sundae. Why I haven’t made this sooner I don’t know. 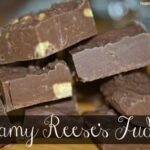 The creamy fudge marries perfectly with the crisp Whoppers. 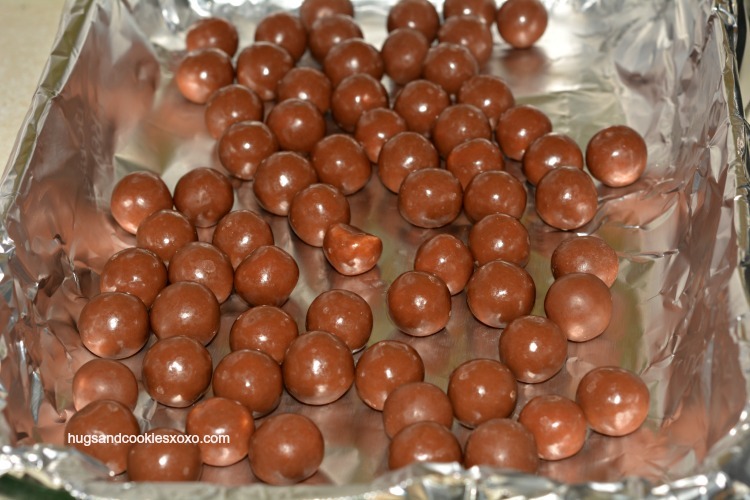 If you’re not from the Us, I am pretty sure your Maltesers are just like Whoppers. 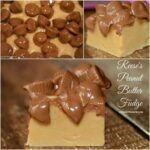 This fudge was done in 45 minutes in my slow cooker. Since each slow cooker, heats differently you’ll have to see how long it takes in yours. Some have reported up to 90 mins. In mine, it would be burnt at that point but you’ll be able to tell as yours cooks. You want it thick, smooth and creamy! 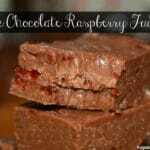 I poured this fudge in a 9×11 but if you want a thicker fudge, try a loaf pan! Line 9x11 or loaf pan with nonstick foil. Pour in the whoppers. Set aside. 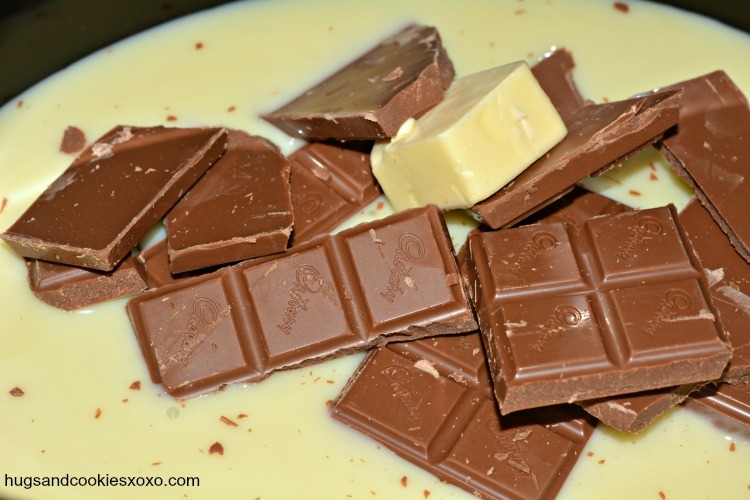 In slow cooker, place the condensed milk, chocolate broken up and butter. Cook on low with the lid off for approx 45 minutes. 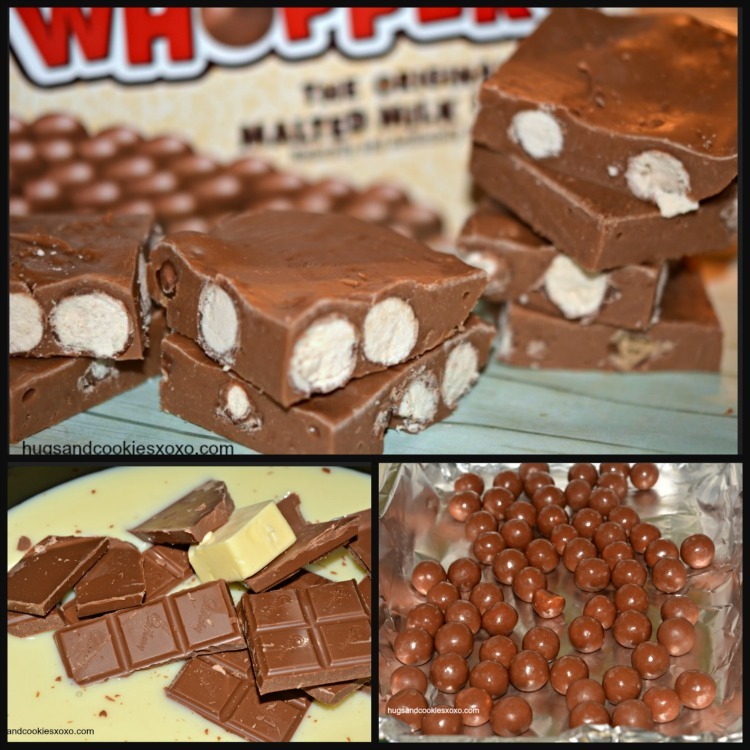 Pour into the pan with the whoppers and spread. I don’t eat whoppers, can you leave them out? Or what would be a good substitute? I don’t know their texture so not sure what could be substituted! I’m not familiar with grams. 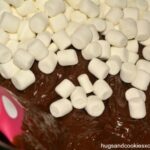 How much chocolate is that in a measuring cup?